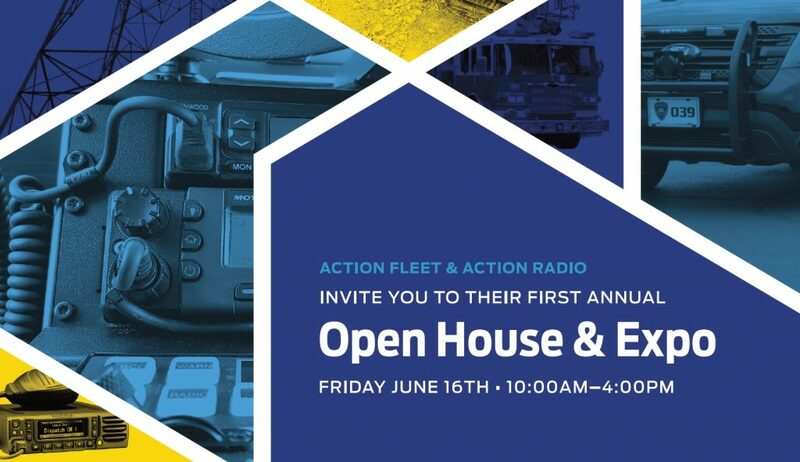 Action Radio and Communications and Action Fleet are under new ownership and we are proud to announce our first annual open house and expo. Please join us for this special event. Vendors from all major equipment manufacturers onsite with displays and demos. Please RSVP by June 2nd: expo@actionfleet.us or use the form below. Action Radio started back in 1977 in a one stall bay and has grown in to a diverse business providing high quality installations and service to public safety sector and commercial businesses. Action Radio and Communications, LLC is part of GRS Safety, along with Action Fleet, LLC. and Allnet Wireless, LLC. which provides personal and business communications to the public safety and private entities. 2018. All Rights Reserved. Action Radio and Communications, LLC logos, patterns, graphics, designs, page headers, icons and buttons are the property of Action Radio and Communications, LLC.